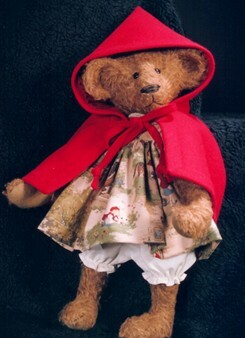 Sewing became an early necessity for Bette Carter of Trunk Bears. After having four children early in her marriage, she became a self taught seamstress. "I made everything for them, from pajamas to coats. 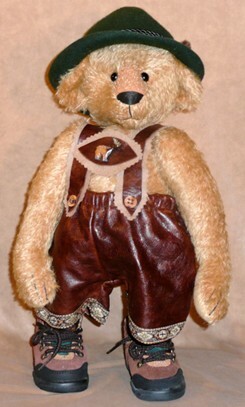 I even made them stuffed bears and other animals," which became State Fair Award Winners along with their clothing. She particularly enjoyed designing the teddy bears and other animals; not realizing a future business would be waiting for her around the corner. Bette pursued an exciting business as a bird taxidermist while she helped her husband who is a wildlife artist. "I traveled to Africa with a museum safari and collected birds. I presented seminars on bird collecting and preservation with more seminars in the United states. It became a subject for a television documentary." 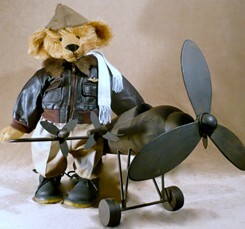 Interestingly, she uses some of the very same taxidermy techniques in her bear making and many of her creations depict aspects of her exciting travels to places like Africa. After her years as a bird taxidermist, she chose to enter law enforcement. "I worked for the next fifteen years as a patrol officer and supervisor on the streets." Introduced to a program that she soon supported which placed teddy bears in law enforcement equipment where officers would have bears in their patrol vehicles. "It was this gesture that I saw first hand the calming influence of a teddy bear on a frightened, distressed child when we gave them a donated teddy bear to hold following an assault or accident." 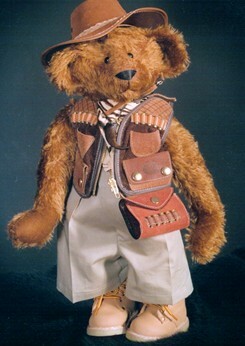 The teddy bear's supporting influence even worked on teenage girls and elderly adults. 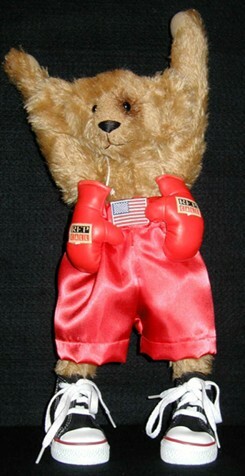 "Around this same time I was just beginning my teddy bear making business. 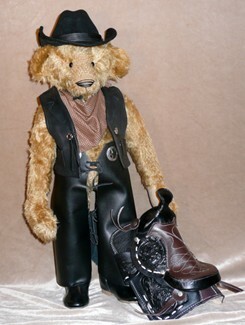 I used the creative designs of my bears to offset the sometimes stressful realities of the life of a patrol officer on the streets." 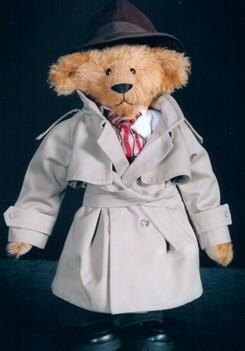 Bette's love for antique trunks combined with keeping teddy bears in the patrol vehicles trunks that led her to name her business: "Trunk Bears." When Bette was injured in the line of duty, once again teddy bears came to the rescue as she continued to create more teddy bears as she recovered. Soon she decided to change direction, returned to college where she obtained a Paralegal degree and went to work for attorneys. All the while her bear making continued. at teddy bear shows around the country. "For each of these honors, my bears and I are truly grateful to the many collectors who made these tributes possible." 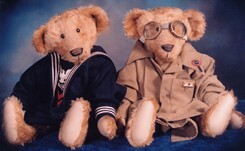 Bette's bears have graced a few books as well. 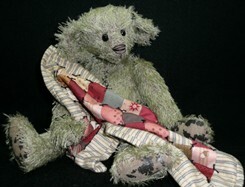 The vintage aspects of her bear making gives her bears the "love worn" look. 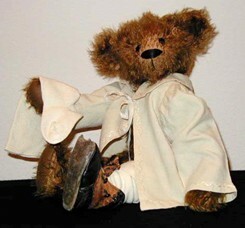 "I distress the parts of the bear that a child would wear off as he/she carried the beloved bear around." She will often simulate the uneven stitches where a small child would have lovingly repaired their favorite bear. 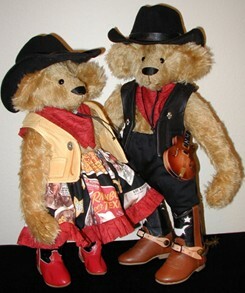 Bette and her husband live in Murphy, Texas and search through local antique and vintage shops for period clothing and memorabilia to finish the look of the bears. When she is not designing and creating teddy bears, Bette and her husband enjoy hunting and fly fishing around the country. This hobby affords them a great opportunity to search all those antique, thrift and quilt stores along their way for even more inspiration. "I have more bear designs in my head than I will ever be able to execute. Designs keep coming when I see something that inspires me!" And with her many travels, we can only imagine what new and wonderful creations she has in store for us..